Sneeking. 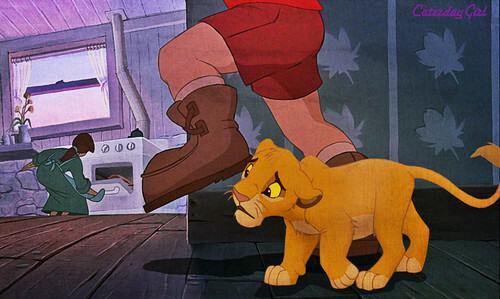 Cody has a lion cub in his room and tries to sneek out of the house without his mom noticing. . HD Wallpaper and background images in the disney crossover club tagged: disney crossover cody simba. This disney crossover photo contains anime, comic book, manga, and cartoon. There might also be sign, poster, text, chalkboard, hip boot, thigh boot, tights, and leotards.